Jesus Christ is the son of God who came down to earth and took on human form and was born of the Virgin Mary. 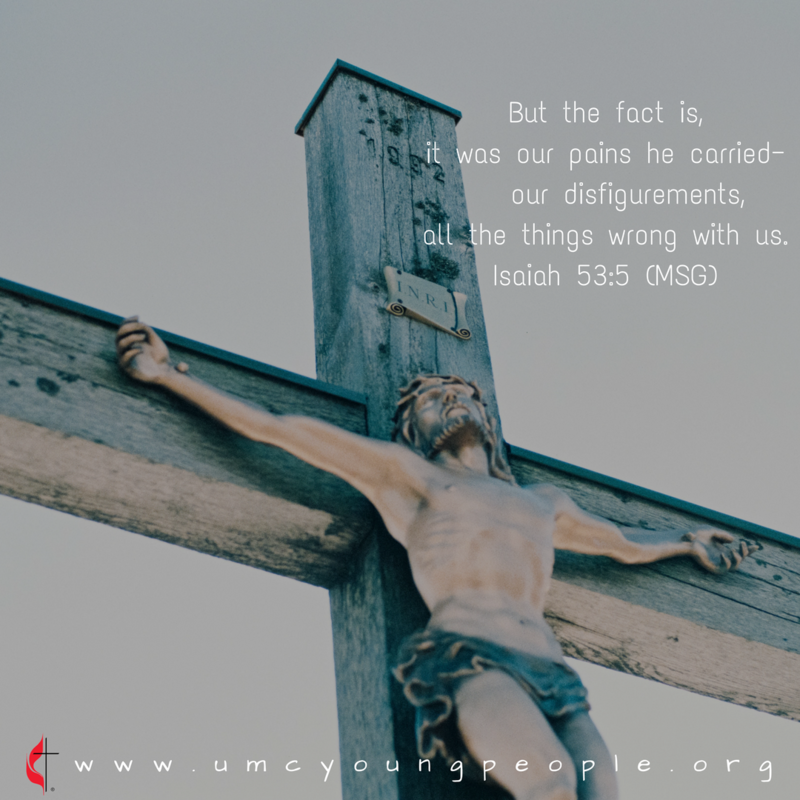 As young people, there are many lessons that we can learn about Jesus especially now that we are in the midst of the Easter season. The lessons can be drawn both from his teachings (parables) and the way he lived on this earth. The fact that he was willing to come down and die for the sins of mankind, taught us that we should be selfless. We should ask ourselves how willing we are to put the interests of others before our own. He put himself on the line to endure suffering, humiliation, pain, and being crucified on the cross for our sake. Isaiah 53 describes him as the suffering servant. He was despised and forsaken of men, he was pierced for our transgressions, and he was crushed for our iniquities. When Jesus washed his disciples' feet, he taught us the act of humility and how to be a servant to others. Humility is freedom from pride and arrogance or the quality of having a modest or low view of your own importance. Although he was the Son of God and his disciples called him master or Rabbi, he still considered himself a servant. Mark 10:45 states, “For the son of man did not come to be served but to serve and to give his life a ransom for many.” This is one idea that many young people today can relate to. We often consider ourselves better than others and don’t want to be in a position to serve but rather to be served; and Jesus calls us to do just the opposite. When Jesus was nailed on the cross, before he took his last breath, he cried out and asked God to forgive those who had done those terrible acts to him because they didn’t know what they were doing. Forgiveness is very important because it allows us to move forward without anger or contempt or seeking revenge. Our anger, regret, hatred, or resentment towards someone means that we give up our power to that person. This scripture reminds me of when I was in high school and I held a grudge against one of my teachers. He got me suspended for something that I had not done. This was unfair to me, so with time I started feeling resentment and anger towards him. I just couldn’t let go and move on. As a result, I could not concentrate in class - especially during his lessons. Eventually, my grades started dropping drastically. I went from being an “A” student to performing dismally in class. That’s when I realized that I was doing harm to myself by not forgiving. So, I decided to forgive and let go of the anger and resentment. I not only healed, but I also started performing well in school again. Jesus tells us that he suffered, died, and was resurrected so that we could be forgiven of our sins. How have you found the example of Christ's sufferings to be a personal encouragement to you in the face of trials?